Extra informatie: U kunt ook een hotel door ons laten boeken, dit kost €199,- per nacht. "The Trainer had a lot of experience. The Indian Accent was to strong and hes Speed was to fast. All courses offered by Gladwell Academy are also available in-company (at your home office location). 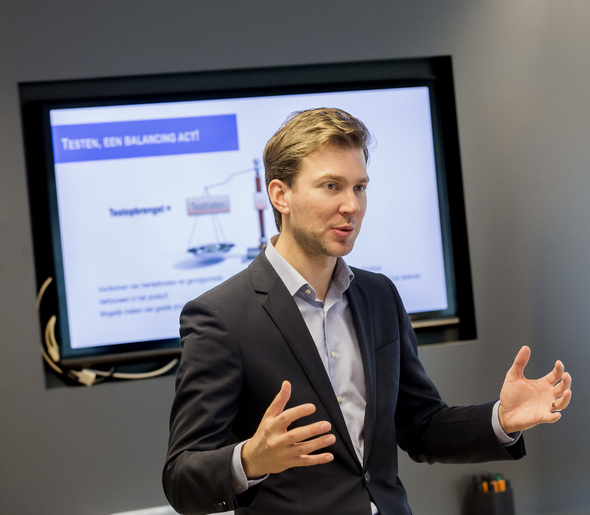 Tijdens deze vierdaagse opleiding krijgt u de kennis die nodig is om een Lean-Agile transformatie te leiden door middel van de principes van het Scaled Agile Framework® (SAFe®). 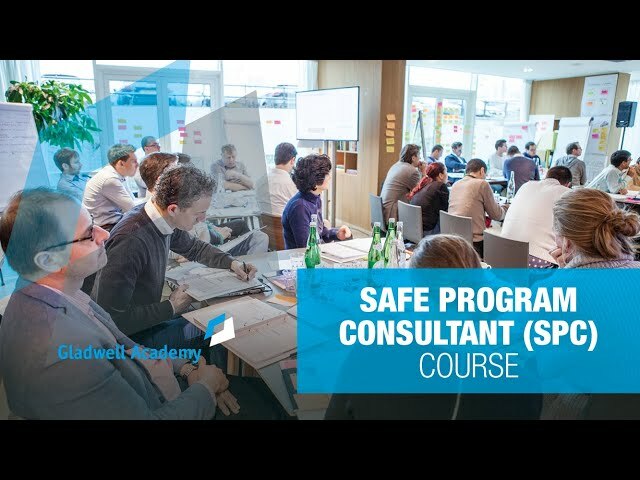 De eerste twee dagen van de opleiding – Leading SAFe® – zult u leren hoe u SAFe kunt overbrengen op uw collega’s. De laatste twee dagen richten zich uitsluitend op wat er nodig is om SAFe succesvol in uw organisatie te implementeren. "The mix between informational slides, Reports from real projectbased experiences, the Knowledge sharing of the attendees was very good. "Liked: Competent teachers, different media used, practical exercises, videos used to explain concepts. "Liked: Examples from the real world, hands-on approach to teaching, two instructors (different perspectives on the same content), WhatsApp group for staying in touch, venue en food. "I liked the presentation style, especially Eelcos. Also the experience in practice was a real plus. "I have much appreciated the course. However there were too many persons, and the room was not fitted for discussions (too noisy). It has decreased the quality of the exchanges. "Global content of the training really good. Trainers with experience. To improve the training and enable us to re-work the exercises after the training in order to prepare the exam, you could have asked us to work on a concrete common case and to re-use it for all the exercises done (PI planning, implementing Lean Portfolio, identify value stream, launching ART...).At the end of each exercises, you could have provided 1 possible solution. (even if several solution were possible). Besides, limiting the number of people to 15 could be good to keep interesting discussions and decrease the noise. "class room in the first 2 days was too small. "Exercices en contexte int?r?ssants , bonne organisation , lieu de formation gr?able et convivial , de nombreux ?changes et retours dexp?rience. "On a fait le programme, les formateurs ont bien g?r? le groupe (accepter les questions tout en g?rant le temps et la pertinence du d?bat), ils ont apport? leur exp?rience en entreprise. Les exercices ont ?t? dynamiques. Le lieu ?tait tr?s bien, la salle ?tait grande. Le nombre de participants (25) ?tait id?al. "Formateurs tr?s professionnels, exp?riment?s et tr?s bonne capacit? ? transmettre leur savoir, leurs exp?riences. "Le contenu ?tait vraiment bon, sp?cialement pour ceux qui nont pas fais Leading SAFe au pr?alable. Pour les autres il y a de la r?-?dition. Un peu plus de REX des formateurs exp?riment?s pourrait ?tre encore un point positif. "The trainers were good. Good documentation.